ST. PETERSBURG, Fla. - Cal Holland kennel's Jiminy Reno used a strong closing kick on the final turn to win the $20,000 Remembrance Stakes on Monday for his first career stakes championship at Derby Lane. Breaking from the No. 5 post, Jiminy Reno overtook pace-setter Pj Tropicthunder of Rangel kennel and went on to win by three lengths. The even-money favorite, Jiminy Reno paid $4 to win in 30.95 seconds on the 550-yard course. The 24-month-old male from a litter by Alivefortomorrow and Oceania won for the eighth time in his past nine starts. Jiminy Reno has 20 career victories from 50 starts for owners Kathleen Hastings and James Morgan. Jiminy Reno was the leading qualifier in the Remembrance, his first stakes test. He earned $9,000. Jiminy Reno ranks second behind kennelmate Rt's Bo Jangles in the meet win standings. Kentucky Leo, another Holland dog, finished third followed by Kaias Sarah (Floyd kennel), Over Zealous (D'Arcy), Lk's Hawkeye (Lashmet), Ww Dewan Casey (Patriot) and Lagro K O (Capabal). 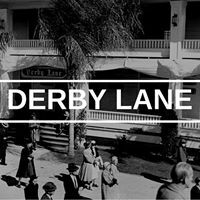 The Remembrance was Derby Lane's final 550 yard stakes of the 2017-18 meet.